HOBOKEN, New Jersey -- When a New Jersey Transit commuter train plowed off the end of a track in September, killing a woman standing in the Hoboken station and injuring more than 100 others, the last thing in its way was a concrete-and-steel bumper that was in place when the station opened in 1907. Experts say more modern bumpers equipped with hydraulic shock absorbers and sled-like friction shoes - like those installed more than 25 years ago at NJ Transit's Atlantic City terminal - would not have been able to stop the train, which was traveling at 21 mph, but might have slowed it enough to lessen the damage. Federal investigators are examining the role the aging bumper played in the Hoboken crash and whether other barriers could have made a difference. For now, however, all but one of the tracks in the almost 110-year-old station that serves about 15,000 passengers a day still have the old-style, stationary bumpers at the end of the tracks, just a few feet from the busy terminal. 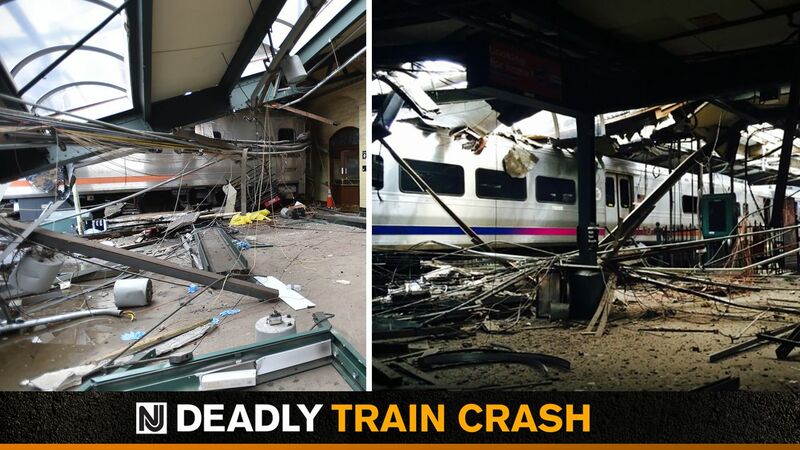 NJ Transit is in the process of hiring a consultant to review the bumping posts at Hoboken as part of an overall safety review of the terminal, Steven Santoro, NJ Transit's recently named executive director, told The Associated Press. The bumpers in Hoboken don't feature hydraulics and aren't equipped with friction shoes. A bumping post with friction shoes would have to be placed farther away from the track's end and would effectively reduce the platform length, Santoro said. That, he said, would force NJ Transit to run trains "at least" one car shorter, which would potentially cause overcrowding. It would "exacerbate an issue that already exists in terms of track lengths," he told the AP. "We would like every platform to be a 10-car platform but can't do that. We are physically constrained by the length of trains we have in our system, and we have to factor that into our analysis." NJ Transit has embarked on a project to construct three longer platforms at Hoboken as part of post-Superstorm Sandy flood mitigation, but that isn't expected to be finished until 2020, Santoro said. A preliminary federal report on the Hoboken crash said the five-car train accelerated from 8 to 21 mph - more than twice the speed limit - as it approached the end of the track Sept. 29, before the emergency brake was engaged in the final second. Engineer Thomas Gallagher, who later was found to be suffering from sleep apnea, told investigators he had no memory of the train speeding up. Even the most modern bumpers used in rail stations aren't designed to stop a train going that fast, state and federal rail officials and several experts told the AP. Yet it's possible one might have slowed the train enough to lessen the damage. The train's lead car launched onto the platform, smashed into a wall and dislodged a canopy and brought concrete, metal and wires raining down on the platform and train. Falling debris killed a woman on the platform. The family of the victim, Fabiola Bittar de Kroon, filed a notice this week of intent to sue. "Had there been something in place that would absorb some of the kinetic energy of the train, therefore there may have been less damage to the structure and that piece may not have fallen? That's certainly possible," said Gus Ubaldi, a member of the American Society of Civil Engineers and a former engineering director for the Greater Cleveland Regional Transit Authority. At impact, bumping posts with friction shoes are "like a car brake: the brakes go on and you're going to slide a little bit, and it grabs the rail," Santoro said. "It's not going to stop immediately, but it's going to slow the train down." Federal investigators are examining how the bumping post in Hoboken performed compared to one in a similar accident at Chicago's O'Hare Airport in 2014, according to two people who were present at a briefing by investigators last month but weren't authorized to speak about it publicly. A National Transportation Safety Board report faulted the Chicago Transit Authority for putting the bumping post too close to the end of the track and not leaving enough room for friction shoes. The bumping posts on two adjacent tracks were about 60 feet from the end of the track and were equipped with friction shoes. Space considerations are a key factor, according to Carolyn Hayward-Williams, director of engineering for the American Public Transportation Association, a Washington, D.C.-based advocacy organization. More track space taken up by safety devices means less platform space to unload riders. "Typically you see (bumping posts) as close to the station as possible," she said, "because track space is so precious and it impacts your capacity, how many trains you can put in, where you put your signals, and so on."